Welcome to Cub Scout Pack 943 in Pleasanton, CA!! The things you learn in Scouting stay with you long after you've outgrown the uniform...Things like being a leader, making good decisions, taking personal responsibility, providing service to others, and caring about your community. So, no matter what you decide to do in life, Scouting gives you the skills and self-confidence you need to be the best you can be - today and for the rest of your life. Once a Scout...Always a Scout! Pack 943 built this website to help current, new and future families in our Pack stay informed in their Cub Scouting experience with us! Our Pack 943 website is split into two sites. One is the PUBLIC SITE webpages and the other is the PRIVATE SITE webpages. We will store general information in the PUBLIC SITE and photos and events on the PRIVATE SITE. To get access to the PRIVATE SITE you will need to be a current member of Pack 943 and get a login ID and password from the Pack's Webmaster. Just click on the "Contact our Pack" link at the top center of this site to contact the Pack Webmaster. We purposely created this website to contain static (non-changing) general Cub Scouting information. This reduces the amount of time our volunteer Pack Webmaster has to maintain this website. 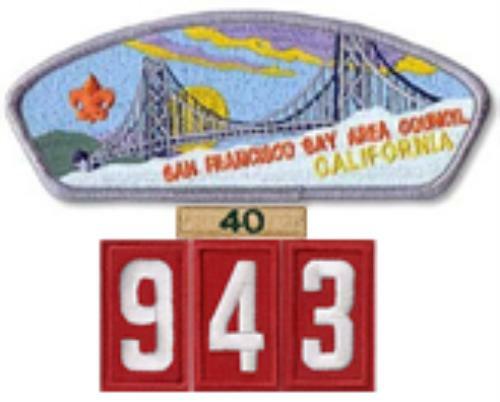 Only Cub Scouting information that is unique or necessary to "new parents" in Cub Scout Pack 943 is typed out on this website. All other general scouting information is linked to sites like the official BSA's (Boy Scouts of America) websites. Also, our Pack 943’s Photo Gallery on the PRIVATE SITE side will have Pack pictures updates added by our Photographers. Furthermore, any personal family pictures should only be on the PRIVATE SITE side, which requires a login and is not for the general public to view. Current and new Pack 943 Webmasters should keep these philosophies in mind when maintaining this website in the future. This PUBLIC SITE webpages has general information about Pack 943, Cub Scouting and how to join Pack 943. The PRIVATE SITE webpages has Pack Leadership and Chair information on how to run our Pack. The PRIVATE SITE webpages also contain our ongoing Pack 943's Photo Gallery. Listing of all our Pack's events and activities in Scoutbook's "Calendar"